From trendy bars to nice little local watering holes, see our complete list of the best bars in Staten Island. Find all the top bars in Staten Island that have gotten rave reviews from multiple visitors all over the globe. One of the Top Hangout Spots in Staten Island! Established in 1966, Joyce's Tavern is a family owned and operated bar in Staten Island that attracts a ton of locals each and every year. In addition to a nice selection of beers; you can order such delicious items as Irish nachos, cottage pie, burgers, corned beef platters, beef stew, and prime rib. The outdoor patio is open for lunch, dinner, and drinks. The bar's private party room is available for special events of all types. Stop by on Tuesday nights, when you can listen to performances from some of the finest bands in the area. 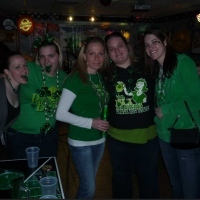 Check out Joyce's Tavern tonight and find out why it's regarded as one of the top Staten Island bars! One of the Best Staten Island Bars! Enjoy good food, good friends, and good times at the Dugout Pub and Grill in Staten Island! The bar is open 11 A.M. to 4 A.M. everyday, and remains a go-to spot for sports fans and lovers of great food and affordable drinks. Take advantage of half-priced drinks, 25-cent wings, and 25-cent shrimp during Happy Hour--every weekday from 11 A.M. to 7 P.M. Compete for prizes of up to $200.00 during Beer Pong every Wednesday night at 9 P.M.! Or you can join one of the Dugout's dart teams. On Saturday nights, you can listen to some of the coolest bands from Staten Island and around the Jersey Shore. Other fun events include football pools and promo nights.